Kaz Castillo and Veronique Tan with the dedicated practitioners at Spirit Yoga Morning Mysore. Last week, Veronique Tan, whose program I am covering here in Osaka, distributed a sheet explaining “homework” to each regular student. I was with her, as she explained to each student what she recommended they work on over the next two months that she is away in Mysore. And how I would be here to help. On Thursday, one student, Akemi-san noticed that I had my own sheet–actually, sheets plural! A neat stack stapled together, on each page was the profile of two students, each a regular Mysore pass holder, their current posture, their work in progress, their challenges and their “homework.” She pointed with delight and laughed! “Yes,” I smiled and laughed too, explaining that I also had my own “homework” from Veronique-sensei! And so work begins. Homework in tow, I will be going to Spirit tomorrow morning, my first day of a two month covering stint here at Spirit Yoga Osaka. The Mysore program here is not new to me. Past teachers that have taught here are friends. The first to hold the program, Ursula Scott was instrumental in inspiring me to make my first ever trip to Mysore, India. Then, last year, I became the interim covering teacher here between August and September. Returning now after nearly 9 months of teaching in Egypt and in Spain, of traveling and having what I can best describe as an epic romantic adventure with myself, I feel a little like I’m returning to the classroom after having done quite a bit of homework myself. Sure, it’s been a little “off book.” There’s been a lot of practice–but a lot of the prime yoga experiences lately have happened off the mat. Self-study is not an isolated activity that is happening at home, it is happening all the time in life. 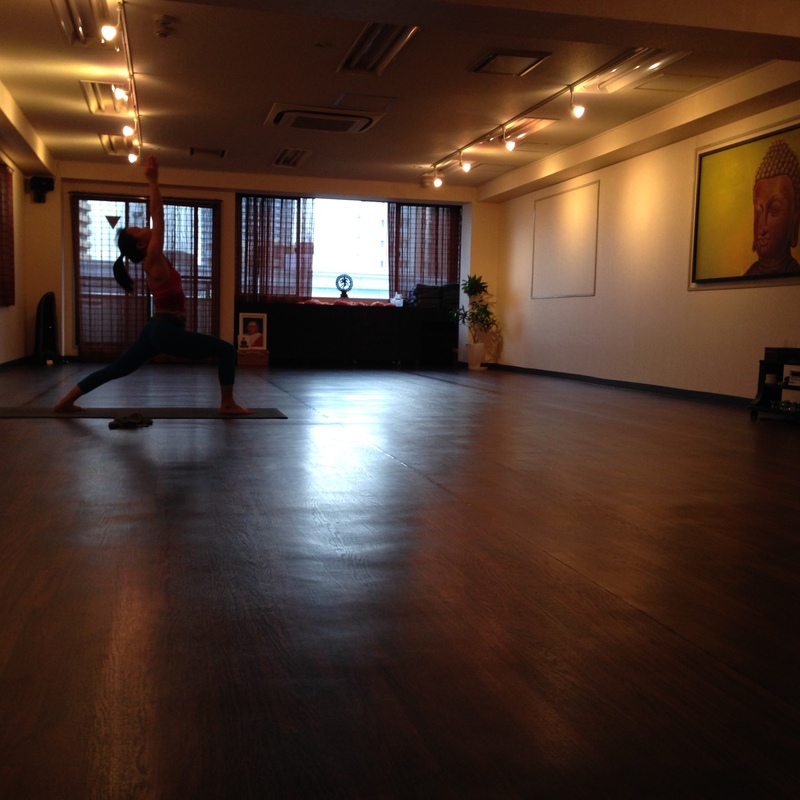 The Schedule of Morning Mysore: Monday-Thursday 6:30-10:00am. Friday 6:45-8:45am Led. Sunday 7:30-10am. PHOTO: Spirit Yoga Morning Mysore. Photo by: Veronique Tan. Oh, My! How They Grow! I recently came home to Manila after a year of travel and teaching. The most striking of changes were seeing my nieces and godchildren, two of whom were newborns when I left the Philippines. I was shocked and delighted to see them walking, talking (though the words are not formed yet). Returning to Osaka after nearly nine months, I feel a little similar, seeing how things have changed and how the program has grown. It was a beautiful and easy re-entry to Spirit Yoga last week, as I assisted Veronique between Tuesday and Thursday. I loved seeing some of the older students with whom I had worked with grow deeper in their practice. And I was thrilled to see how many new faces there were also. It is a real joy to see one’s practice evolve. It is likewise so heart warming to see a whole program become bigger, more robust. It’s a real pleasure to be back. It’s an honor to hold this space once again, in the teacher’s absence, this time Veronique Tan, who has been guiding the program here since October 2013. I feel blessed and inspired to see how much a program can grow! PHOTO: Thursday’s class was an all time high: 27 practitioners. We had to draw open the curtains to the changing area to make space for people to finish. I love the enthusiasm I see here in Japan. Could clearly see how happy the students were to send Veronique off so she could herself study with her teacher. I start leading the Mysore mornings tomorrow, Sunday, June 29.